John E. Sweeney, a native of Troy, NY, worked his way through college, graduating from Russell Sage College and receiving a law degree from Western New England College. After law school he was selected as Executive Director and Chief Counsel to the New York State Republican Party. John Sweeney currently resides in Clifton Park, New York with his wife and has three children. Referred to as ‘the go-to guy’ by fellow New Yorkers, four-term Rep. John Sweeney is best known today in Washington for his unwavering resolve on issues affecting personal and financial security. 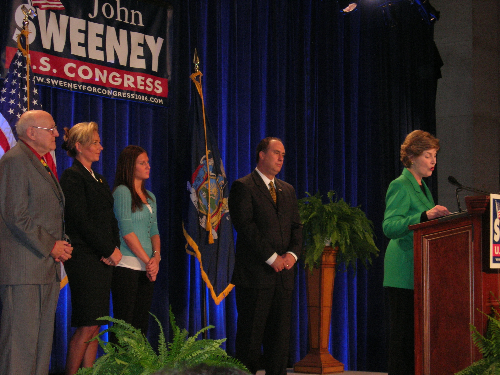 As a key member of Congress’ homeland security and financial appropriations committees, Sweeney was a pivotal figure in rallying New Yorkers, and their interests, in the aftermath of terrorist bombing of the World Trade Center. 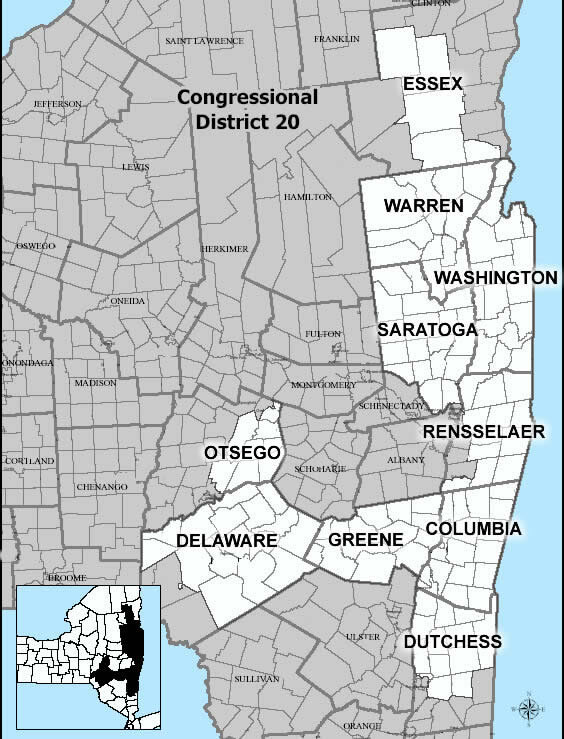 Rep. Sweeney has worked to ensure a stronger secure economic future for Upstate New York by advocating, providing funds and fighting for legislation that will benefit the hi-tech industry by addressing federal agency issues facing technology companies, creating partnerships in the hi-tech industry and bringing jobs and economic strength to the region. He played a crucial role in restoring funds to the Manufacturing Extension Partnership Program. Center for Economic Growth utilizes funds from the MEP to continue strengthening Tech Valley and other emerging manufacturers in the Capital Region. Successfully changed First Responder Grant funding distribution so it is based on threat, risks and consequences to ensure that funding is allocated to those areas that need it most. Championed-increasing funds for firefighters so that they can continue to meet their staffing needs and get the equipment they need to respond to emergencies. Strong advocate of connecting New York companies that specialize in Homeland Security Technologies with the Department of Homeland Security’s key decision-makers. Has opened up access to Homeland Security grants, funding and programs so that New York will continue to excel at meeting the technological needs of future emergency response and preparedness. Worked to make Albany Airport eligible for a greater share federal aviation dollars, which enabled major air carriers to begin service into Albany International Airport, including Southwest Airlines in 2000 and Independence Air in 2004. Successful in designating the I-87 Corridor as a “High Priority Corridor.” This will enhance the economy and security of the corridor.